Ramadan is actually a time of increased activity wherein the believer, now lightened of the burdens of constant eating and drinking, should be more willing to strive and struggle for Allah. The Prophet (Peace be upon him) passed through approximately nine Ramadans after the Hijrah. All perfect praise be to Allah, The Lord of the Worlds. I testify that there is none worthy of worship except Allah, and that Muhammad is His Servants and Messenger. Dear Brothers and Sisters! As we begin the month of Ramadan, full of mercy, giving, gratitude and Sabr (patience), the images from Gaza in Palestine sear our minds and break our hearts. May Allah grant the Ummah more Sabr, and wisdom to world leaders, as well as people of faith. My people! Ramadan is the month of empowerment, which begins when we train our hearts, souls, and bodies to commit to higher goals and resist the wrongs inside of us, along with those outside of us. This Ramadan, let’s plan to follow three Prophetic success strategies of empowerment: Communication, care for humanity, and coalition-building. Under the leadership of Prophet Muhammad, peace and blessings be upon him, the early Muslims first trained themselves to resist wrong within themselves. From the worship of false gods to lying, stealing, insolence toward parents, arrogance, and other character ills, they fought an internal battle. And when it was time to take the struggle to the external, they were more than ready. This Ramadan, let us resist our weaknesses. Be it extravagance, anger, or anything else. Whatever the fault, whatever we have always struggled with, no matter how long we have struggled with it, let us make a conscious effort to resist. But let’s not stop there. We must help our family and friends do the same. Let us help them gain that Taqwa, Allah-consciousness, that Allah wants us to attain through fasting in Ramadan [Quran, 2:183]. Help them get up for Suhur; make an Iftar meal for a friend going through a rough time; give a mom of young kids a break so she can participate in Tarawih in peace. Attaining Taqwa is an internal battle – but it is a collective one as well. Respected Brothers and Sisters! Many Muslims today have a misconception about fasting and the activities of a fasting person. They go into a state of semi-hibernation, spending most of their daylight hours in bed. If they fear Allah, they wake up for prayer, but then return to sleep immediately. This unnatural sleep makes them become lazy, dull-witted and often cranky. Ramadan is actually a time of increased activity wherein the believer, now lightened of the burdens of constant eating and drinking, should be more willing to strive and struggle for Allah. The Prophet (Peace be upon him) passed through approximately nine Ramadans after the Hijrah. They were filled with decisive events and left us a shining example of sacrifice and submission to Allah. In the first year after the Hijrah, the Prophet (Peace be upon him) sent Hamza Ibn Abdul Muttalib with thirty Muslim riders to Saif al Bahr to investigate three hundred riders from Quraish who had camped suspiciously in that area. The Muslims were about to engage their enemies, but they were separated by Majdy Ibn Umar al-Juhany. The Hypocrites of Madinah, hoping to oppose the unity of the Muslims, built their own Masjid (called Masjid ad-Dirar). The Prophet (Peace be upon him) ordered this Masjid to be destroyed in Ramadan. On the seventeenth of Ramadan, 3 AH, Almighty Allah separated truth from falsehood at the Great Battle of Badr. The Prophet (Peace be upon him) and 313 of his Companions set out to intercept a caravan of their own goods that had been left in Makkah. It was led by Abu Sufyan himself, and estimated at 50,000 dinars. They were met, instead, by a well-equipped army of the nobility of Quraish, intend on putting out the light of Islam. Despite being outnumbered three to one and appearing weak and unseasoned, the Muslims defended their faith with a burning desire to protect the Prophet and meet their Lord through martyrdom. Allah gave them a decisive victory on this day of Ramadan, that would never be forgotten. In 6 AH, Zaid Ibn Haritha was sent to Wadi al-Qura at the head of a detachment to confront Fatimah bint Rabi’ah, the queen of that area. Fatimah had previously attacked a caravan led by Zaid and had succeeded in plundering its wealth. She was known to be the most protected woman in Arabia, as she hung fifty swords of her close relatives in her home. Fatimah was equally renowned for showing open hostility to Islam. She was killed in a battle against these Muslims in the month of Ramadan. By Ramadan of 8 AH, the treaty of Hudaibiyyah had been broken and the Muslim armies had engaged the Byzantines in the North. Prophet Muhammad (Peace be upon him) felt the need to strike a fatal blow to disbelief in the Arabian Peninsula and conquer the city of Makkah. Allah has declared His Sanctuary a place of peace, security and religious sanctity. Now the time had come to purify the Ka’abah of nakedness and abomination. The Prophet (Peace be upon him) set out with an army having more armed men than al-Madinah had ever seen before. People were swelling the army’s ranks as it moved toward Makkah. The determination of the believers, guided by the Will of Allah, became so awesome that the city of Makkah was conquered without a battle, on 20 Ramadan. This was one of the most important dates in Islamic history for after it, Islam was firmly entrenched in the Arabian Peninsula. During the same month and year, after smashing the idols of Makkah, detachments were sent to the other major centers of polytheism and al-Lat, Manat and Suwa, some of the greatest idols of Arabia, were destroyed. Such was the month of Ramadan in the time of the Prophet (Peace be upon him). It was a time of purification, enjoining the good, forbidding the evil, and striving hard with one’s energy, time, life and wealth. After the death of the Prophet (Peace be upon him) Muslims carried on this tradition and Allah used the true believers to affect the course of history. Ramadan continued to be a time of great trials and crucial events. Ninety-two years after the Hijrah, Islam had spread across North Africa, Iran, Afghanistan, Yemen and Syria. Spain was under the tyrannical rule of King Roderic of the Visigoths. Roderic had forced his six millions serfs and persecuted Jews to seek the aid of the Muslims of North Africa in order to be delivered. Musa Ibn Husair, the Umayyad governor of North Africa, responded by sending his courageous general Tariq Ibn Ziyad at the head of 12,000 Berber and Arab troops. In Ramadan of that year, they were confronted with a combined Visigoth army of 90,000 fighters led by Roderic himself, who was seated on a throne of ivory, silver, and precious gems and drawn by white mules. After burning his boats, Tariq preached to the Muslims warning them that victory and Paradise lay ahead of them and defeat and the sea lay to the rear. They burst forth with great enthusiasm and Allah manifested a clear victory over the forces of disbelief. Not only was Roderic killed and his forces completely annihilated, but also Tariq and Musa succeeded in liberating the whole of Spain, Sicily and parts of France. This was the beginning of the Golden Age of Al-Andalus where Muslims ruled for over 700 years. In the year 582 AH, Salahuddin Al-Ayyubi, after battling with the Crusaders for years, finally drove them out of Syria and the whole of their occupied lands in the month of Ramadan. The Muslim world was then destined to meet one of its most frightening challenges. In the seventh century AH, the Mongols were sweeping across Asia destroying everything that lay in their path. Genghis Khan called himself “the scourge of Allah sent to punish humanity for their sins.” In 617 AH, Samarkand, Ray and Hamdan were put to the sword causing more than 700,000 people to be killed or made captive. In 656 AH, Hulagu, the grandson of Genghis Khan, continued this destruction. Even Baghdad, the leading city of the Muslim world, was sacked. Some estimates say that as many as 1,800,000 Muslims were killed in this awesome carnage. The Christians were asked to eat pork and drink wine openly while the surviving Muslims were forced to participate in drinking bouts. Wine was sprinkled in the Masjids and no Azan (call to prayer) was allowed. In the wake of such a horrible disaster and with the threat of the whole Muslim world and then Europe being subjected to the same fate, Allah raised up from the Mamluks of Egypt, Saifuddin Qutuz, who united the Muslim army and met the Mongols at Ain Jalut on 25th of Ramadan, 458 AH. Although they were under great pressure, the Muslims with the help of Allah, cunning strategy and unflinching bravery crushed the Mongol army and reversed this tidal wave of horror. The whole of the civilized world sighed in relief and stood in awe at the remarkable achievement of these noble sons of Islam. Today, the Muslim world is faced with drought, military aggression, widespread corruption and tempting materialism. Surely we are in need of believers who can walk in the footsteps of our beloved Prophet (Peace be upon him), the illustrious Sahabah, Tariq Ibn Ziyad, Qutuz, Salahuddin and the countless heroes of Islam. Surely we are in need of believers who are unafraid of the threats of the mischief makers, yet kind and humble to the believing people; Muslims whose fast is complete and not just a source of hunger and thirst. All praise is due to Allah, Lord of the worlds. May the peace, blessings and salutations of Allah be upon our Noble Messenger, Muhammad, and upon his family, his Companions and his true followers. May Allah raise up a generation of Muslims who can carry Islam to all corners of the globe in a manner that befits our age, and may He the Almighty give us the strength and the success to lay the proper foundations for them. May Allah make us of those who carry out our Islam during Ramadan and after it, and may He the Most High not make us of those who say what they do not do – Ameen Ya Rabb!!! 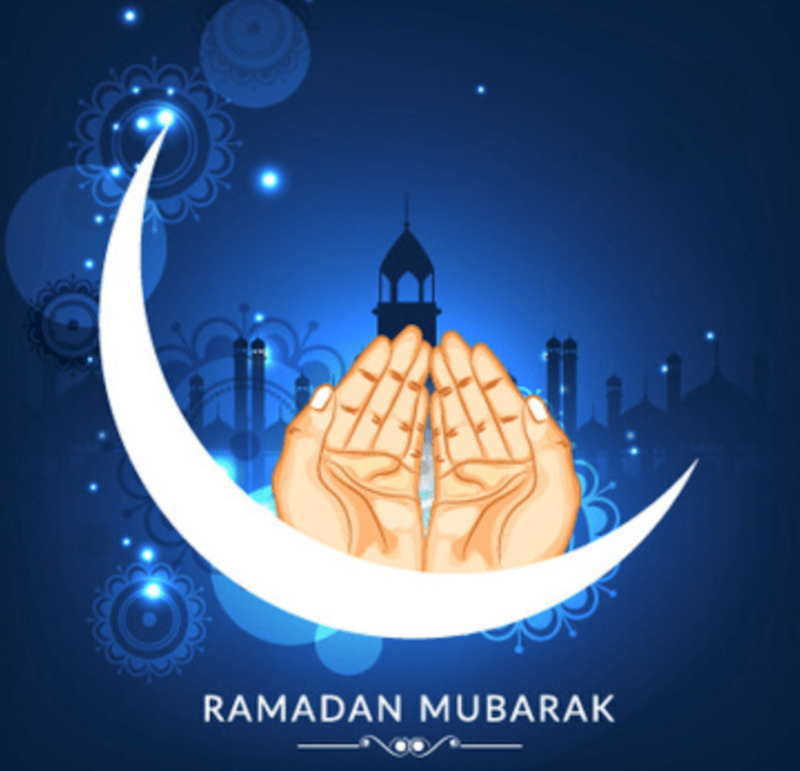 May Allah bless this Ramadan for all of us, our families, and Muslims the world over. May it be a time of healing, comfort, reflection, and renewed faith and strength. Ameen. Imam Murtadha Muhammad Gusau, from Okene, Kogi State, Nigeria. He can be reached through: gusaumurtada@gmail.com or +2348038289761.